Before belly dance class the next week, I asked Jan how she wanted to be killed. Since she’d initiated this lethal game, I thought it only right that she got to choose the means of her demise. So much fairer than the way life works, wouldn’t you say? I mean, few among us get to choose our own end. Life, the greatest murderer of all times, chooses how we expire, whether we will it or not. Jan laughed at my question and said she didn’t care. Death is often messy — and smelly — with blood and body wastes polluting the scene, and I did not feel like dealing with such realities. Besides, the murder was to take place at Ms. Cicy’s dance studio, and I didn’t want to be haunted forever after by the scent of a gruesome end for Jan. It would put a damper on the pure joy of dancing, and I couldn’t allow that to happen. So . . . no blood, body wastes, smells, or any unpleasantness. It would be a nice gentle murder befitting our nice, gentle victim. Poison, perhaps, or a blow on the head. Neither of those means of murder would be particularly gentle on Jan, of course, but then it’s not her sensibilities I’m worried about. After all, she’d be dead and beyond such matters. I continued to fret over motives. It seemed inconceivable that anyone would want Jan dead, but I kept on with my preparations for her murder. One day I brought my camera to class so I could take a photo of her would-be corpse lying on the studio’s wooden dance floor. 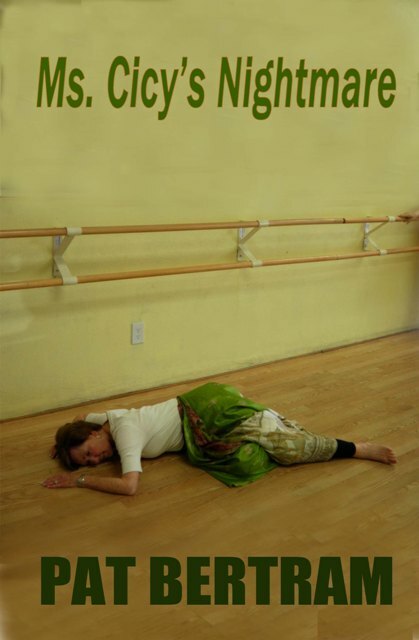 When Jan walked into the studio, dressed in her green and beige silk belly dance practice skirt, I asked if she’d play dead for me. I expected to have to take several shots to get the pose I wanted, but she sank to the floor as gracefully as she did everything else, and lay in the ideal pose. Right then I knew I could kill Jan. She was just too damn perfect. It’s chilling and funny. I love it. « If You Like the Movie “Enemy” . . .